Courtesy of WOWSA, Olympic Club, San Francisco, California. At the Open Water Summit at the Olympic Club last weekend, there were all kinds of open water swimmers who specialize in pioneering stage swims, SOS swims, channel swims, marathon swims, ice swims, and polar adventures. From Michelle Macy to Ross Edgley, the luminaries were mind-boggling unbelievable and all duly noted by their peers, fans and global media. 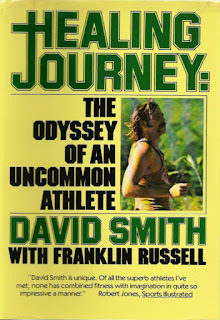 One of the open water swimming pioneers in the 20th century was David Smith of Santa Cruz, California. 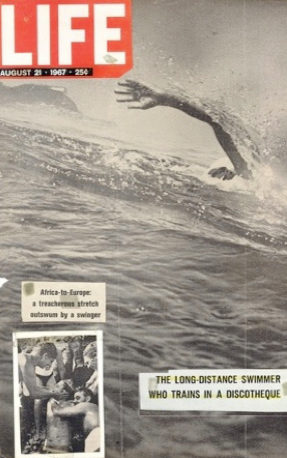 Back in 1965, the Ventura Junior Chamber of Commerce offered US$1,000 to the first person who swam 19.3 km from Anacapa Island to the California mainland. As a promotion for a local home decorator show, the swim window was set for June 25-28th 1965 when the 23-year-old Smith, 19-year-old Erick Gillen, and Canadian Betty Benedict planned to attempt the swim, but the weather prevented them from trying within the window and the local sponsor only provided one boat for the three swimmers. Between February 21st and 22nd 1965, Smith broke the record for swimming 24 hours in a pool in the Olympic Club pool. Smith carried on in the open water world, swimming in a shark cage across the Strait of Gibraltar in 1967 from Africa to Spain. 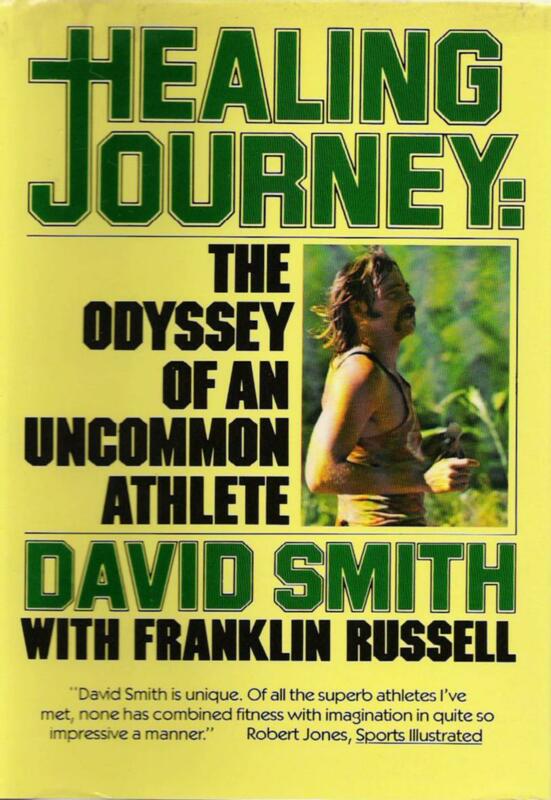 In 1969, Smith was inducted into the International Marathon Swimming Hall of Fame, but he was nowhere to be found...until 2006. But swimming distances is only one side of David. He's also a writer of books on health and wellness, personal change and overcoming fear. Over the past 27 years, he's led 54 wilderness adventures for schizophrenic patients on the Appalachian Trail, and conducted 290 programs in prisons, including San Quentin, on how to 'get a job instead of do a job." Smith opened his acceptance speech by saying, "More important than this award is the reward international marathon swimming gave me. 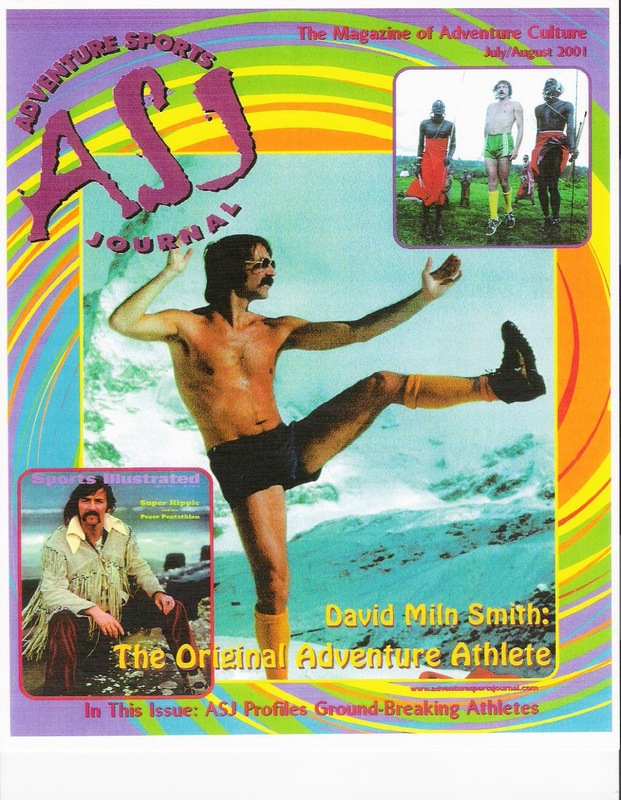 The challenge of the swims opened my life to new horizons, infinite possibilities and the ability to travel the world in novel, intense, athletic endurance explorations. I kayaked the Nile River from Ethiopia to Cairo, trekked the High Atlas Mountains and across the Sahara Desert solo, ran the Khyber Pass, hunted with a club in Kenya, ran down Mount Fuji, leaped into the Well of Sacrifice in Chichen Itza, among other things. But swimming the Golden Gate got me started." For more information on this remarkable swimmer-turned-adventurer and author, read www.adventuresmith.net.